DJing and producing wasn’t enough for Mark Verbos. 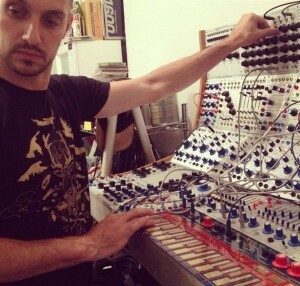 In recent years, he founded the modular synthesizer company ‘Verbos Electronics’ with the aid of his girlfriend. Since then, the company has quickly become one of the most exciting startups in the industry. Despite dedicating nearly all of his focus to his company, he still finds time to tour the globe and make records using a live rig composed solely of his own gear. Dustin caught up with him during the Berlin Atonal festival in 2015 to chat about music and life in general. Mark lived in Berlin from 2000-2003 so he told us what it was like to be a foreigner in the city back then versus now. He also discusses his company at length, explaining the planning behind it, and how it feels to have the musical legends that inspired him as big fans of his modules. As you might expect with a couple of music producers and one who happens to be an engineer, the chat gets a little nerdy in the second half! Enjoy.